Another Sustainable Power Generation clean energy product. 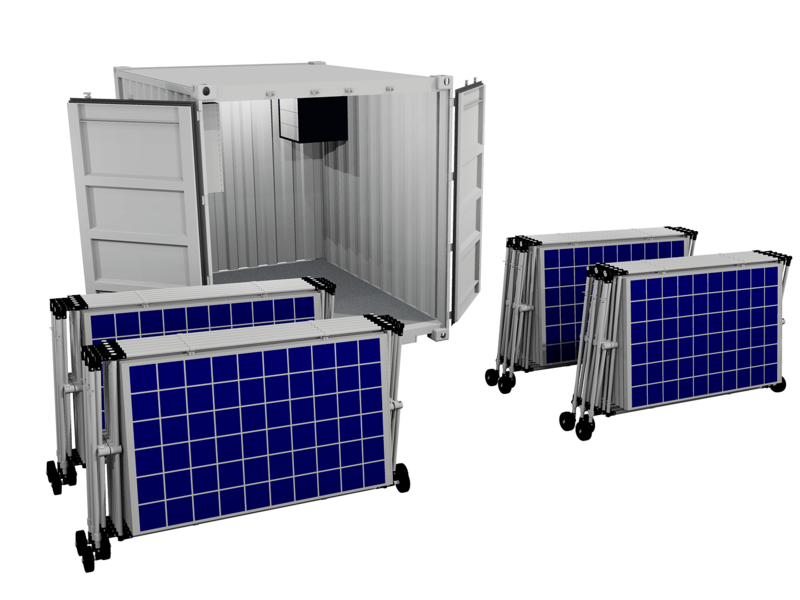 SustainPower’s rapid deployment container solutions offer the quick installation of a modular, off-grid, solar power system. These mobile systems are ideally suited for remote locations, rural electrification and temporary installations. Retractable according-style EXOrac engineered by Swiss PWRstation is an industrial-class racking system that offers a transportable, flexible solution for ultra-rapid activation – within minutes. 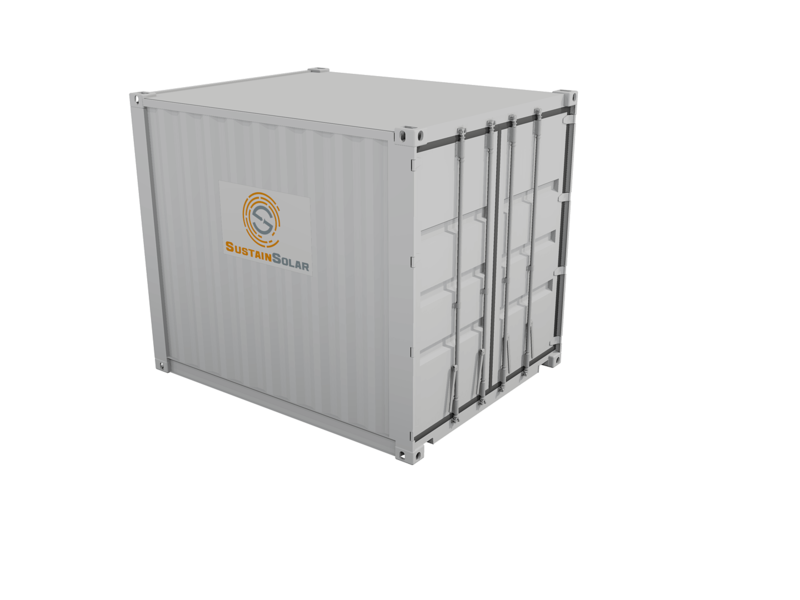 Sustain Flex produces 5kWp using four individual EXOracs and houses inverters, and 10kWh of Lithium-ion batteries in a rugged 10ft container. Sustain Flex can be closed and locked in case of security concerns, extreme weather, or fire, and is therefore ideal for remote and rural off-grid applications, whether permanent or temporary. 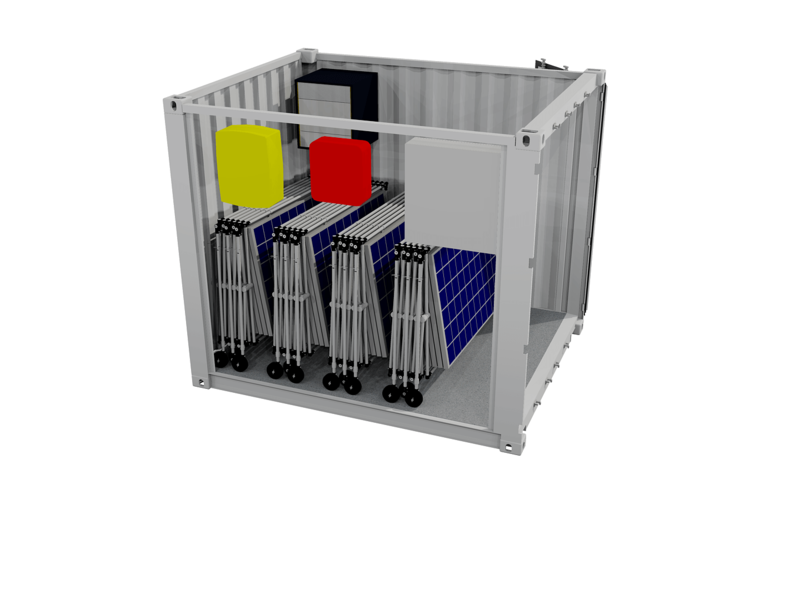 All solar modules, structures, batteries, and electronics are pre-installed and packed inside a 20ft ISO shipping container for safe and easy transport. Installation manual, ladder, and tools for onsite installation included. PV size options: 17kWp, 24kWp, and 36kWp. Up to 100kWh battery storage can be included. All equipment ships in one or more 20 or 40ft shipping containers. Ideal for larger mini-grids or hybrid systems. PV size can vary between 30kWp and 80kWp. Up to 200kWh battery storage can be included. Solar panel array with high quality modules producing from 5 to 80 kWp. Leading high performance solar modules using latest PERC cell technology, offering 10-year product and 20-year performance warranties. Light-weight, quick and easy mounting structure utilising mounting points on top of the container, and optimised ground ballasting. High-efficiency lithium-ion battery system ideally suited for off-grid application ranging from 10 to 200 kWh. All equipment is safely packaged in a rugged and insulated 20ft container for maximised mobility, protection and durability. Mini-Grids: Efficient transportation, rapid installation, and easy commissioning offer shorter time lines and lower implementation risk for mini-grid developers of hybrid or stand-alone systems for rural electrification, agricultural and commercial use, and mini utilities. 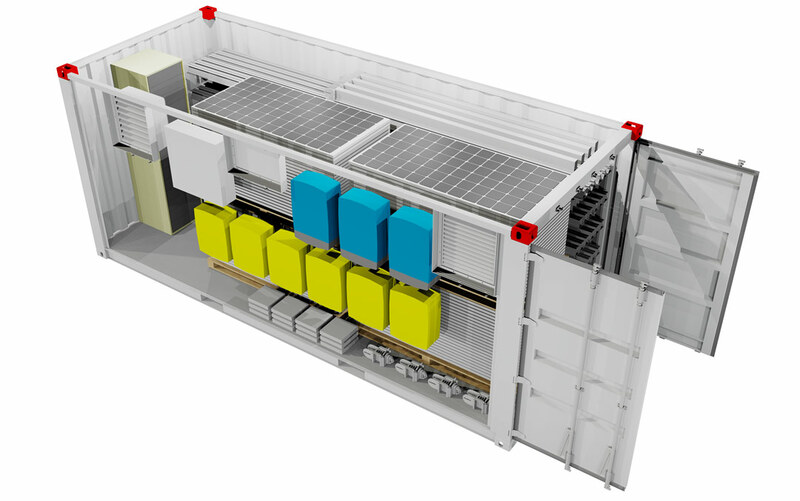 Mobile and modular installations: Containerised packages easily move from site to site and are therefore well suited for temporary off-grid power supply at remote construction sites, mining operations, defence and disaster management tasks and humanitarian applications. Added essential services: Custom built solar container solutions can house off-grid water treatment and reverse osmosis plants, milk chillers, cold storage, clinics, offices, kiosks, and many more. Allow us to prepare a proposal based on your unique requirements.